Whether you buy a live Christmas tree every year, or this is your first time, you might be wondering how to take care of it through the holidays. Fortunately, keeping this decoration healthy is easier than you might expect. Here, the team at Dundee Nursery & Landscaping of Plymouth and Hutchinson, MN, offers a few useful Christmas tree care tips. People often worry that their new Christmas tree will lose its needles quickly, leaving the branches sparse and making a mess on the floor. This usually occurs due to dryness. As you shop, check the plant’s freshness and moisture level by looking for any needle loss around the crown and base. Run your hand through the branches—do the needles feel soft and pliable, or are they brittle and falling off? Once you’ve selected a healthy tree, cut approximately three inches off the bottom of its trunk to expose fresh wood that will absorb water and keep the branches alive. It’s important to mount a live Christmas tree as soon as possible to prevent the trunk from drying out; when this happens, it can’t absorb water properly. If you want to wait before putting up the tree, you may need to shave another inch off the bottom to reopen the wood’s pores. When mounting the tree, make sure there is at least one quart of water for every inch of the trunk’s diameter in the stand’s well. Check the fluid level regularly to make sure it doesn’t drop below the base of the trunk. Add a plastic skirt under the stand to collect needles, water spills, and any dirt that might be stuck to the trunk. Place the tree far from heat sources like fireplaces, radiators, or air ducts. Not only will they make the branches dry out quicker, but they can also become a fire hazard. If you want to avoid piles of needles in the living room, then plan to take the tree down shortly after the holidays. Use the plastic skirt to wrap it and prevent messes. 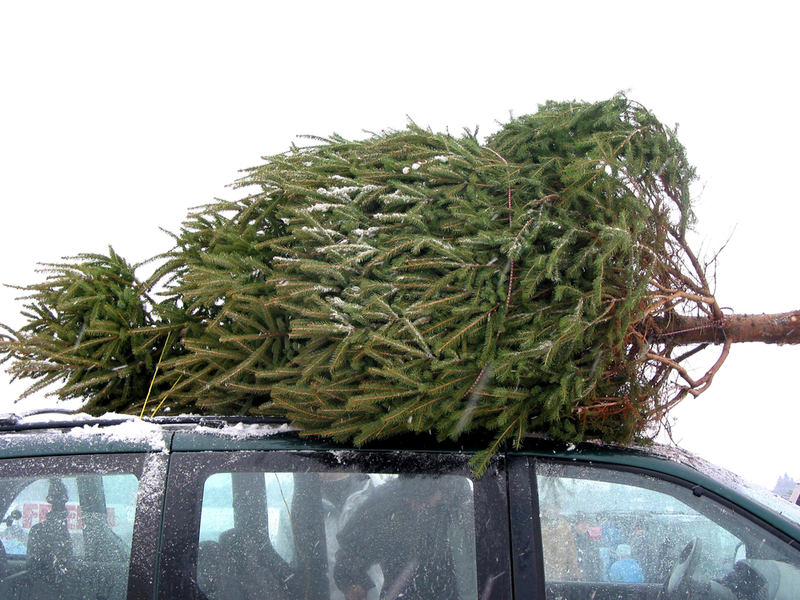 Find a nearby Christmas tree recycling facility that will turn the decoration into usable mulch, lumber, or fuel. Some centers will also accept lights to recover materials like copper wiring and recyclable plastic. For the best selection of live Christmas trees, visit Dundee Nursery & Landscaping. The garden store’s team will help you choose the right seasonal decorations for your home and provide tips to make them look their best. Call (763) 559-4004 or visit them online to learn more about their holiday home and garden accents. Follow them on Twitter for more helpful plant care tips.